Area Specialist – Wilson Ang 016-368 6--- WhatsApp or Call for more info =>>> 016 368 6---. Taman Saga @ Klang (Link House) in Klang Selangor, Malaysia. Check out NextProperty. My for more information. Taman Sri Andalas is a residential township situated in Klang. There are various surrounding residen. Impiria Residensi (Service Residence) in Klang Selangor, Malaysia. Check out NextProperty. My for more information. 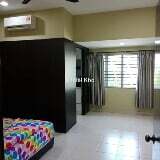 Freehold Non-bumi Single storey Bungalow on 8066 sqft bungalow land with extra reserved land outside. Nordica Residences @ Gravit8 (Service Residence) in Klang Selangor, Malaysia. Check out NextProperty. My for more information. Buying a property are either a new project from a developer or a completed unit from the sub-sale (s.